A comfortable dog harness can be used for a variety of functions but is a necessity for any dog that travels. The safety of the dog and driver or any other passenger in the car is depending on a quality harness, so it is important that this equipment is not going to let you down. That is exactly why we decided to stock the enhanced strength and design Tru-Fit Smart Harness by Kurgo. Assessed in three ways for safety and efficiency the Tru-Fit Smart Harness is enhanced with Kurgo's innovative nesting buckles. The utilisation of a nesting buckle system is used during rock climbing and height workers, including linesmen, throughout the world. This is a canine car harness which has been thoroughly crash tested. This harness is tested for safety first and is not simply a converted walking harness to give peace of mind in the car. Each buckle in the harness is a strong metal, unlike many others which are plastic. Despite the intricate safety enhancements involved in the manufacture of this great car harness it is easy to put on, easy to wear and extremely comfortable for your dog. 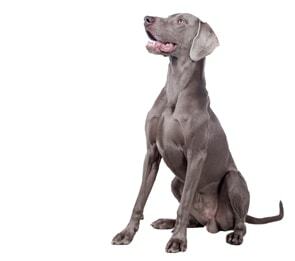 It has a wide chest piece for control when walking and extra protection, and with five different adjustment options, it will become almost custom fit when your dog is wearing it. 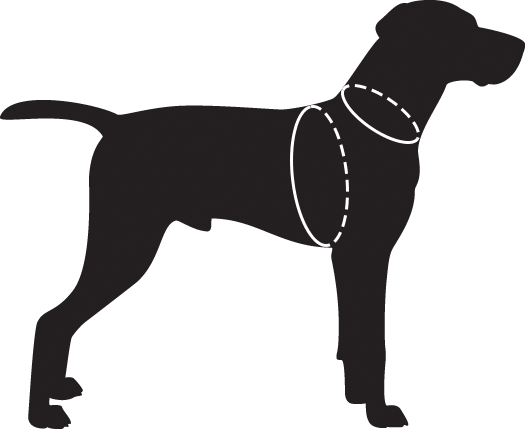 For best fit measure the chest and neck of your dog to determine size from chart below. The fit should be snug but not restrictive.